Quell® 2.0 was named a CES® 2019 Innovation Awards Honoree in the Fitness, Sports and Biotech product category, recognizing the company’s innovative application of AI + neurotechnology to manage chronic pain. NeuroMetrix President and CEO, Shai Gozani was a speaker at the Digital Health Summit at CES, focusing on the continued advances in healthcare. PC Magazine picked Quell 2.0 as one of the "Best Wearables at CES 2019". The Washington Times named Quell 2.0 a “Technological Option to Opioids”. Digital Trends included Quell 2.0 in their list of “The best CES 2019 health gadgets”. Jennifer Jolly, technology expert for USA Today, and The Today Show included Quell 2.0 in her TV broadcast from the floor of CES. For a recap of Quell at CES and a preview of coming innovation, visit Quell on YouTube. CES® is the world's gathering place for all who thrive on the business of consumer technologies. It has served as the proving ground for innovators and breakthrough technologies for 50 years - the global stage where next-generation innovations are introduced to the marketplace. As the largest hands-on event of its kind, CES features all aspects of the industry. Owned and produced by the Consumer Technology Association (CTA)™, it attracts the world's business leaders and pioneering thinkers. 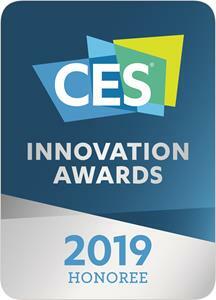 The CES Innovation Awards are based upon descriptive materials submitted to the judges. CTA did not verify the accuracy of any submission or of any claims made and did not test the item to which the award was given. Quell is an advanced, wearable technology for treating chronic pain. It can be worn during the day while active and at night while sleeping. Quell is drug-free and has been cleared by the FDA for treatment of chronic pain without a prescription. Quell has been shown in multiple clinical studies to relieve chronic pain and, in a published study, 4 out of 5 users reported improvement in chronic pain. Quell users can personalize and manage therapy discreetly via the Quell app. Quell also offers health tracking relevant to chronic pain sufferers including pain, sleep, activity, and gait. Quell users can synchronize their data with the Quell Health Cloud™, which provides customized feedback and powers one of the world’s largest chronic pain databases. Quell is available online and through select retailers. Visit QuellRelief.com for more information. NeuroMetrix is a commercial stage, innovation driven healthcare company combining neurostimulation and digital medicine to address chronic health conditions including chronic pain, sleep disorders, and diabetes. The Company has two primary products. Quell is an over-the-counter wearable therapeutic device for chronic pain. DPNCheck® is a rapid point-of-care test for diabetic neuropathy which is the most common long-term complication of Type 2 diabetes. For more information, please visit http://www.neurometrix.com.